I’ve been going to Totally Aktive for just over a year now and love the fact that the classes are so varied. I can chose which classes I want to do each week depending on my goals. My eating habits have improved and I am now nearer my target weight since going. I am not the most motivated of people when it comes to exercise which is why I chose this rather than a gym. If it wasn’t for Jamie I wouldn’t push myself enough at the gym. I also love the fact that the people I train with are all normal people and easy to get on with and make a great atmosphere unlike some pretentious gyms. There are plenty of activities organised throughout the year for those wanting to try something a little different as well. 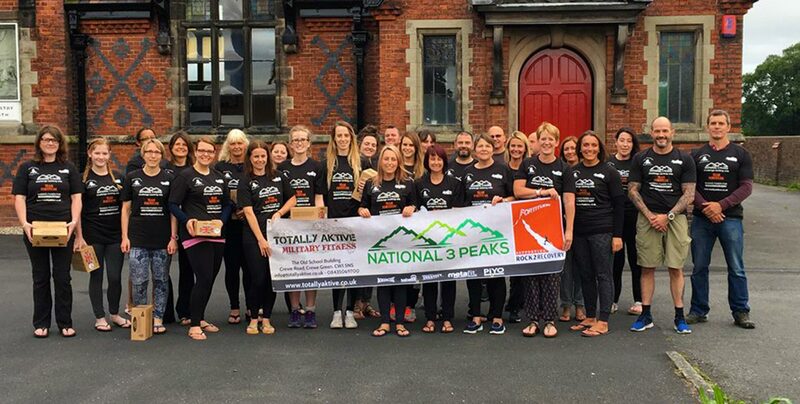 Snowdon, Spartan Race, Rat Race, abseiling, Tough Mudder. Weekend residential’s are just a few. For anyone that is also into Obstacle Course Events there are classes to suit. There are definitely a classes for everyone here and even the ones you thought you might hate may surprise you and enjoy. My kids go there for Martial Arts, my wife goes and now I go. I doubt you’ll find another place like it. The Old School Building is a great and unique place to get your sweat on. It’s definitely NOT clicky and the classes are full of real, friendly people with the same aim. Every class is tough and challenging but at Totally Aktive, achievable. If you are a novice or seasoned fitness fanatic you will be right at home here. Jamie, along with Michelle from Totally Klean, is like having a personal mentor on whatever personal journey you’re on. Totally Aktive’s attraction is the fact it doesn’t feel like a normal gym but a welcoming place to immerse yourself in your own fitness regime. I am an old dog learning new tricks, a runner realising without core strength I will always pick up injuries and someone who can’t recommend Totally Aktive enough. I have been at Totally Aktive for about 4 months now and wow, what a difference! This is 100% nothing like I have ever done before and never have I been so motivated to train hard and eat well before! Jamie and Michelle push you and encourage you through tough work outs, as well as coach you and guide you through sensible nutrition to fuel your body and crack bad habits. Every class is different and challenging but so exhilarating and rewarding! Everyone is of different abilities , backgrounds, shapes and sizes, but everyone is friendly, supportive and a great group to train and have a laugh with. If you want results, don’t waste time with gym fees just join Totally Aktive! Totally Aktive has completely changed me it pushes you to reach goals you never thought were achievable and once you reach them goals the next ones are being set moving the levels all the time. Most of all I have made some great friends we train hard, eat clean but most of all have a lot of laughs along the way! If you are looking for a new type of training them come and give it a go! I’ve been going to Totally Aktive for almost 7 months now and I can honestly say it offers the best training environment I’ve ever experienced. I’ve trained for a majority of my adult life, sometimes going through the motions, sometimes with purpose, but I’ve never enjoyed training as much as this and I’ve never felt fitter. 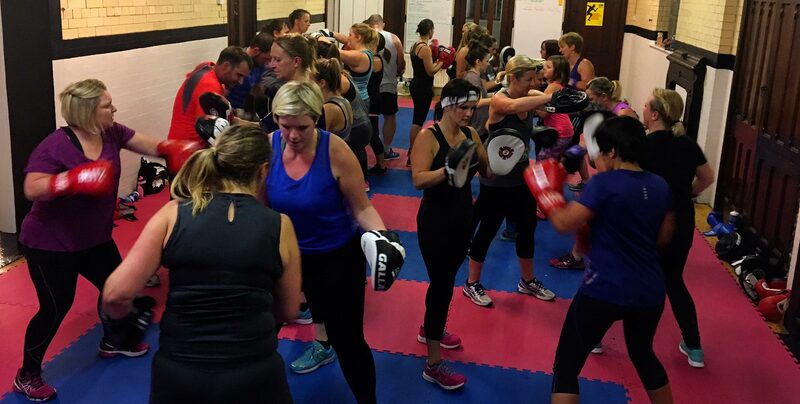 The classes are so varied, EVERYBODY is friendly and there is a huge range of fitness so whether you are having a good day or a bad day there’s always someone there to support you. Whether you want to make a complete change or just improve your physical and mental well-being then I can highly recommend TA. Started in Jan and was the best decision I have made! Not going to lie it is hard work however its really fun and we all have a laugh. We have just finished the 12 week bootcamp 2017 and I have lost more than I ever thought I would have done, but Jamie and guys have changed my mindset and I want more change! Every session is different which for me is a massive help as I get easily bored. So I would 110% recommend Totally Aktive. I forgot to mention its the only place I have been for many years where there isn’t any idiots who show off, just hard working people who help you push yourself to the limit! I joined Totally Aktive earlier in 2016 following glowing recommendations off a friend. It’s definitely the best bootcamp I’ve done over the years as every class is different and you certainly feel it the next morning. They have also helped me to keep healthy and active through my pregnancy, adapting classes so I can partake in them just as much as the rest and keeping a very watchful eye on me so that I’m only doing what is safe. Many stop exercise during the 9 months but i’m convinced that the continued classes, along with diet support specifically for me, is the biggest reason for the smooth and enjoyable pregnancy I have had so far. 6 weeks left and I’m still feeling great! I’m already looking forward to the new year, to come to Totally Aktive and give 100% again. I have been going to Totally Aktive for over a year now and my transformation has been incredible, I struggled to run round a field now I can run half marathons and complete challenges that I never thought were possible. Not only is there a range of sessions but everyone is really friendly and supportive and I have made some great friends along the way. If you really want to change then this is the place for you! !